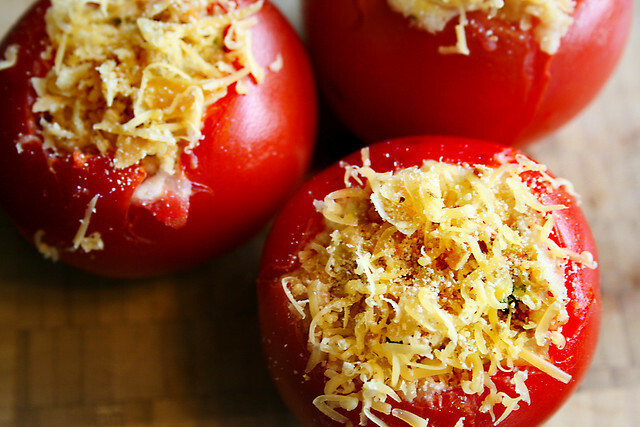 Today’s recipe is going to be a quick and easy impromptu dinner I like to make at this time of year when the tomatoes are giant ruby globes that just fall off the vine. 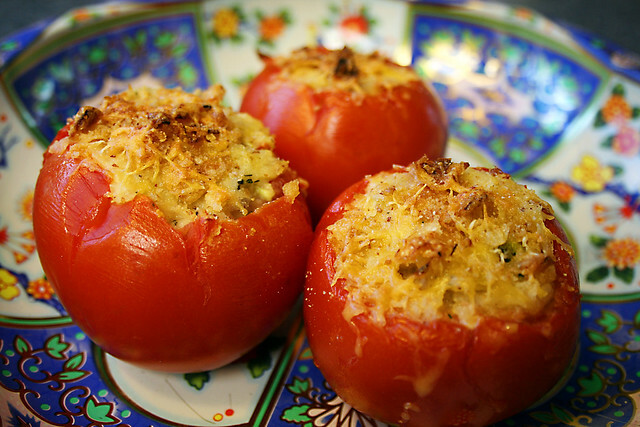 I call this Impromptu Stuffed Tomatoes because I like to just throw it together out of leftovers, nothing in exact measurements. – Preheat oven at 375 degrees F.
-Scoop out the baked flesh of the potatoes and blend it with the mustard, cheese, broccoli and dill. 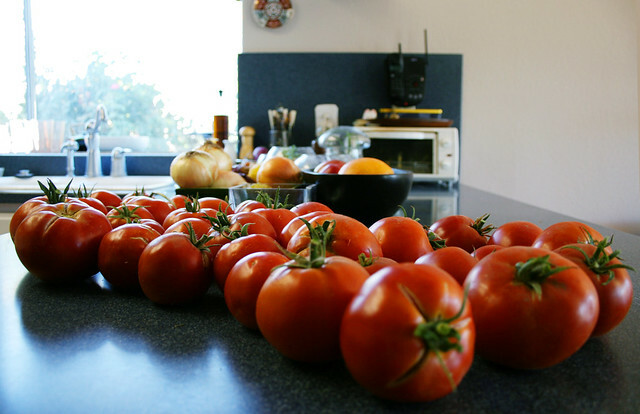 – Make a circular cut in the top of the tomatoes and scoop out the seeds. Stuff with the potato mixture and sprinkle with more cheese and breadcrumbs or Panko. – Bake for 20 minutes and enjoy with cold sliced beef or grilled chicken. Here’s hoping Yuko-chan leaves your plant babies alone! See, I stuff my garden tomatoes with precious gems and shredded bits of priceless works of art. Then I go to farmers markets and try to sell my stuffed roasted tomatoes for $2500 each. So far no takers. Are you making it obvious you’re selling them ironically? Because that should help.